Are you looking for social media tools? Do you want to increase your productivity and traffic? How do you choose the best tools without paying $100s? We have used 100’s of different social media tools some work some don’t some are paid for some are FREE. We have put together 2 tools we use every day for our social media accounts. We will be going over what the tool does and the best way to implement it with your business. The first tool we are going to talk about is a tool we use for Instagram. This is an amazing and easy to apply INSTAGRAM tool and we have put together this short blog to take you by the hand and walk you through the process of getting the most out of INSTAGRAM with this free tool. Linktree was the first tool on the Instagram scene that allowed users to share more than one link with their audience. 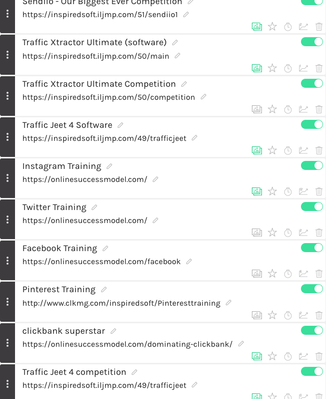 If you take a look below you will see how we use the tool linktree to have multiple links instead of just one link in your bio. This has really helped us with our business because we promote different product’s every week so changing the link every time was time-consuming and we were receiving messages about how they could purchase e.g Sendiio. With having multiple links at a click of a button was just what we needed. It also has a built-in analytics showing you how many clicks each link is getting, the image below is an example of how it is set out on your linktree account. 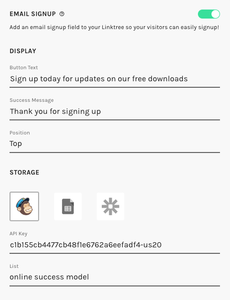 This tool is totally FREE we have used this for 18 months for FREE. Before we upgraded to the pro version for $6 a month. The pro version has some really cool features to say how cheap it is, you can add a thumbnail to the side of your clickable links as you can see in the picture. One of the reason’s we upgraded to pro was to change the background colour and change our avatar to be unique to us. The other really cool tool inside linktree is the Integrations part the image below Shows you how it looks inside the platform, with this amazing part of linktree you can not only have more links for different sections of your business but you can also pick up their email address once they’ve signed up. The second tool we use consistently in our business is a tool called Canva this tool helps you create beautiful eye-catching images for your social media accounts. What is Canva? Canva is a tool loaded with enough easy-to-use features and functionality that anyone can create a variety of engaging content that gets shared. It has lots of options to which design you would like to use eg Facebook ad, Facebook cover, Instagram post, Tumblr post and there is lots more to choose from. If you take a look at the image below you will see the variety you have to choose from. Whether you use a free or paid image, or even one you have uploaded yourself, Canva provides an easy-to-use photo editor where you can change the look of your image using settings that include filters, tint, brightness, and more. As for fonts, Canva offers hundreds to choose from It’s hard to stop playing with all those choices and creating them eye-watering graphics to get the attraction your social media page needs! If you take a look at the image below you will get the drift of what amazing graphics you can create using a FREE tool. Another cool feature inside of Canva is the create your team, Creating a FREE team makes it easier to share designs and folders. We actively use these section to get different ideas from other team members which is like they say 2 brain’s is better than one. Once you’ve made an account with Canva just have a good look round and check the different features they offer this tool is very simple to use even for people with no graphic design at all. When it comes to price, you can’t go wrong with Canva because it’s free! You can use every Canva template for free. The only time you’ll need to pay is when you use one or more of the premium images that they sell for the low price of $1 per image. They also offer tons of free images to use as well. 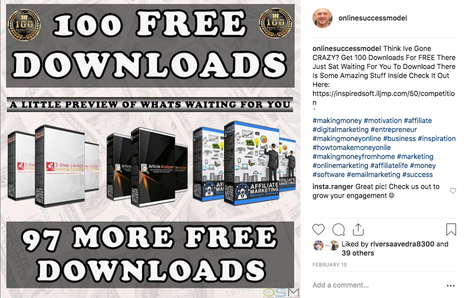 As you can see from the image’s below our Instagram account has grown tremendous amounts since we started using these 3 tools. This looks like something I can really use. Thanks once again Richard for another great post and free product. I am just now getting fully into instagram and these will definitely help.